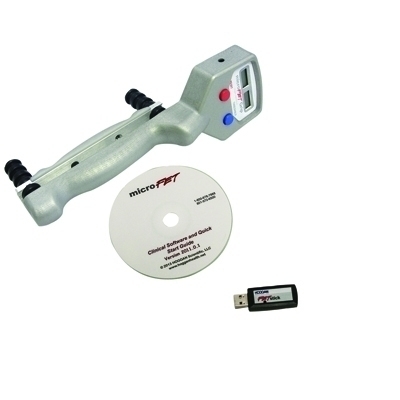 MicroFET" HandGRIP is ideal for routine screening and ongoing evaluations. Unit can perform four (4) grip tests: maximum, 5-position, rapid exchange and fatigue. Unit contains: test forms, wall chart, case, rechargeable a 3.7 volt rechargeable lithium ion battery and AC adapter. Dimensions: 11" x 4" x 8"